McClymont, at age 35 was a farmer in Culroy [parish of Maybole, county of Ayrshire] when Wm. Robert, was born, in 1815(24). As did many sons, Robert grew up learning his father’s occupation of farming. Probably working on the same farm, Wm. Robert would’ve been put to work at a very early age, most likely ten to twelve years old. His occupation listed on his marriage record was a farm servant. Recorded on December 3, 1842, at the age of 27(27), Wm. Robert married Mary Milligan, born 22 Jun 1822 in Wigtownshire [the county just south of Ayrshire], the daughter of William and Mary Milligan(28). Both families were living in Ayrshire at that time. The Clark family was blessed with eight children – David (1843-? 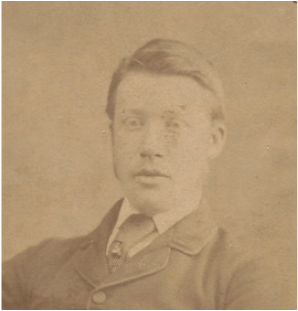 ), William "Billy" (1845-1928)(29), John (1847-? ), Agnes (1850-? ), Hugh (1852-1928), Barbara (1855-? 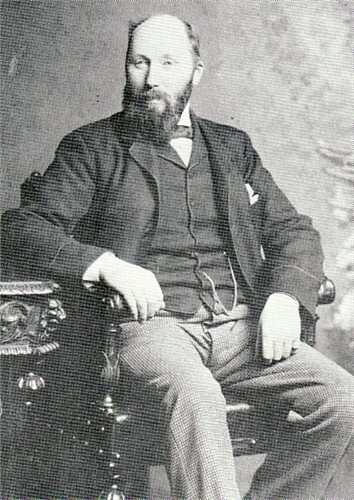 ), James Milligan (1858-?) and Mary (1860). Of all the industries in Scotland during the mid-1800’s, farming was the most widespread. Yet in respect of the condition of the workers and the methods they employed, plowing until within recent years has undergone comparatively little change. In 1845, as a plowman Robert earned about ten or eleven pounds a year, not including the provision of milk and meal. A plowman would receive from his master two pecks of oatmeal per week, and one pint of new milk per day. His home, while he was single, was the bothy, or the stable-loft. A house, or rather a croft cottage, in the neighborhood was sought out after he married. Its annual value, overestimated at £2, was subtracted from his fee, which accordingly amounted to the miserable pittance of eight or nine pounds. Attached to the hut would be a small kailyard, or vegetable garden. In a corner of the garden would be a wooden cruive, or pig stye, roofed with sod, for the accommodation of a pig. There was, further, the allowance of some land for potatoes, and it was understood that some field-work would be found for the plowman’s wife in the course of the year. Twenty-six was the age at which a plowman usually married, and he usually found his wife on the farm. She, having been trained to work indoors before marriage, took her place after marriage among the field workers, hoeing turnips, etc., at eightpence a day. It would have taken it all to keep her in food, and meanwhile the care of her own house was neglected. There was often, almost necessarily, little tidiness in or around the house of a married plowman. And any children were put to work early to relieve the pressure of indigence. In 1861, according to the census, Wm. Robert and his family had moved to a cottage on the grounds of Kilhenzie Castle. Although they lived in the shadow of a castle, their lives while running a dairy were just as laborious as plowing fields. Milking by hand started around 5:00 am for each milk cow, one after the other. This was called a “milking round.” Rounds were repeated in the afternoon and sometimes there were even three milk rounds in a day. The 1841 census shows that they had hired a “milk maid” so she would’ve worked the milk rounds with them. 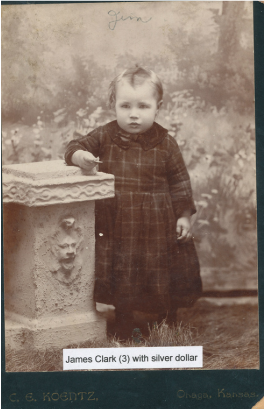 The women of the family made butter which was sold in the shop with milk, eggs and preserves. Care of the animals and cleanliness were priorities, and many of the livestock were groomed to win prizes at local shows. However, as clean as the dairy was kept, sanitary conditions on a dairy farm often developed cultures ripe for diseases, such as typhoid and cholera. It’s no surprise then that some men did not reach retirement age, as was the case of William Robert, who died from typhoid fever at the young age of 46(30). In the years following Wm. Robert’s death, Mary worked as a cowfeeder at Killoch Cottage on Midton Road in Ayr. The Cottage was described in 1855 as a small house with a garden attached. The house was one story high and was not in good repair. It was the property of Miss McKnight of Bellvue. Bellvue, on the other hand, was an elegant and commodiuous dwelling, with outhouses [other buildings, not toilets] and gardens attached. It lay next door to the cottage, so Mary lived out the rest of her life in the shadow of a grand home, while her rented cottage was falling down around her. Ironically, Bellvue was turned into a nursing home in 1991. Mary passed away on December 20, 1885 at age 63. According to Mary’s will(31), she wasn’t destitute. Her “estate” in 1886 was valued at £217, [given the rate of exchange and inflation, that would be worth about $27,000 today – 2014] which was handed down in its entirety to the eldest son, David Clark, who was a joiner [carpenter] at that time. Billy had been gone from Scotland for about 16 years by then, which matters not – under the practice of Primogeniture, the eldest son inherits everything anyway.